The Haywood Summerhouse is an attractive chalet style winged cabin, featuring Georgian style glazing and a bay window to the front. The single door is finished off with antique ironmongery, and is upgraded to a set of double doors as standard on the larger models. 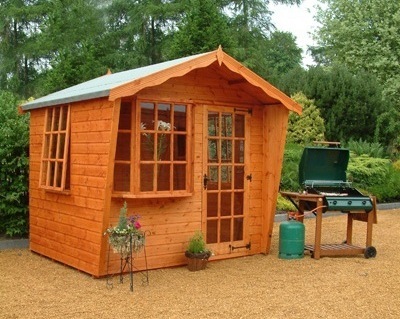 This beautiful looking garden building can be further enhanced with a wide variety of upgrade options, such as factory painting and toughened glass.